Which human persons possess the infused theological virtue of faith? 1. Persons who have just been baptized with water in the formal Sacrament of baptism. 2. Baptized persons who have not committed any actual mortal sin. 3. Baptized persons who have committed any actual mortal sin, but have repented and returned to the state of grace by at least imperfect contrition and the Sacrament of Confession, or by perfect contrition (with the obligation of subsequent confession, if possible). 4. Baptized persons who have lost the state of grace by an actual mortal sin, but not by a sin that gravely offends against the virtue of faith itself. Such persons (the former) lose love and hope, but retain faith. 5. Baptized Christians who are non-Catholic, even if they have beliefs that differ substantially from the Catholic faith, in cases 1 through 4 above. 6. Persons who have received a baptism of desire, even if implicit. 7. Non-Christian believers who have received an implicit baptism of desire by the selfless love of God, done in full cooperation with grace. 8. Non-believers who have received an implicit baptism of desire by the selfless love of neighbor, which always includes, at least implicitly, the love of God, done in full cooperation with grace. 9. Prenatals, infants, and young children who die at that young age, without a baptism of water or desire, receive supernatural faith, love, and hope by a baptism of blood. 10. The Blessed Virgin Mary from her Immaculate Conception, and the human nature of Jesus Christ, from His Incarnation/conception. Which human persons do not have the theological virtue of faith? A. Human persons who have never received any form of baptism. B. Human persons who received some form of baptism, and who then committed an actual mortal sin against faith, so as to lose love, faith, and hope. 10 Responses to Who Has Supernatural Faith? In today’s world, whom do you consider a non-Christian believer (7) and whom do you consider a non-believer (8)? I go through the religions of today in my book, Forgiveness and Salvation for Everyone. There are folk religions in the world today which are like the Romans’ religion with gods and goddesses. These religions have too little in them of true religion, so they are essentially like atheism. Agnosticism is a type of non-belief, even if the view is that God may exist but it doesn’t matter. On the other hand, any religion that teaches love of God and neighbor helps the believer get to Heaven. Religions that lack the teaching of love can be more of a hindrance. Ron, it would appear that the conservative schism, predicted by you, has officially begun. Can you comment on Cardinal Muller’s ‘MANIFESTO’ please? I’ll write an article for my newsletter on the topic, and a brief post. They may have faith if they are invincibly ignorant. Only those who believe explicitly in the Trinity and the Incarnation. Absolutely heretical. Faith is an absolute necessity of means. I am distinguishing between natural knowledge of God and morality, accessible by reason alone, and supernatural faith. I’m simply asserting what JP2 also said, that persons who outwardly reject the Church can still be implicit members, by the state of grace — which of course gives them love and faith and hope. Non-believers have implicit faith. This is proven by the example of the Roman Centurion, as I’ve explained already. Explicit belief in the Trinity and the incarnation is not necessary for an implicit baptism of desire, of course. The Jews before Christ received the state of grace by a baptism of desire; it was implicit, since there was no water baptism to explicitly desire. And they did not believe in the Trinity or the Incarnation. Do you really believe that, when Christ arrived, He showed His mercy by NARROWING the path of salvation by doing away with implicit baptisms of desire? The recent teachings of the Magisterium support what I am saying — and by recent I mean since Pope Pius IX!! One must believe on divine authority a revealed doctrine to be saved. You reject this thesis. Therefore, you are a heretic, as the First Vatican Council declares. I already said I accept that doctrine. You are rejecting the teaching of Pope Saint John Paul II and Vatican II. 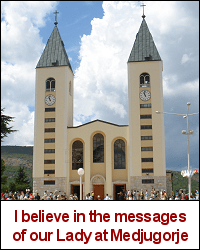 The Church does not teach what you are saying: “One must believe on divine authority a revealed doctrine to be saved.” That is a far-right doctrinal error, favored by sedevacantists and a few others. For one to have faith, a particular proposition must be believed on *divine authority* as Vatican I teaches. This is true even you don’t believe explicitly Christian doctrines are required. But as a matter of fact the magisterium has already stated multiple times that one must believe in explicitly Christian doctrine to be justified, as an *absolute* necessity of means. I highly recommend you read Sacrae Theoloogiae Summa IIIB (On Grace / On the Infused Virtues), pp. 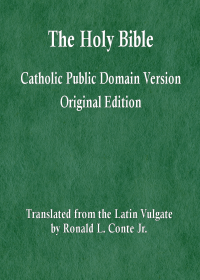 265-350, which was published in 1956 and approved by the Spanish Conference of Bishops. 1. That book is not of the Magisterium. It’s a book of private theology. And it is absurd for you to try to puff up its value by saying a Bishops’ Conference approved it. For it remains fallible theological opinion. 2. It seems you have transferred your faith from the divine authority of the Magisterium, which is the basis for my position, to a book written by some Spanish Jesuits. 3. It is also clear that you have rejected the Magisterium since Vatican II, making you a schismatic and heretic, formally (not merely in an assertion in a combox). 4. You are banned from my blog.